From breath-taking period splendour to quirky conversions, 116 Pall Mall offers five floors of versatile and unique rooms, just waiting to be transformed for your event. 116 Pall Mall offers excellent transport links, a cloakroom, free wifi, air conditioning and natural daylight in every room, as well as a dedicated event manager to help you create your event. 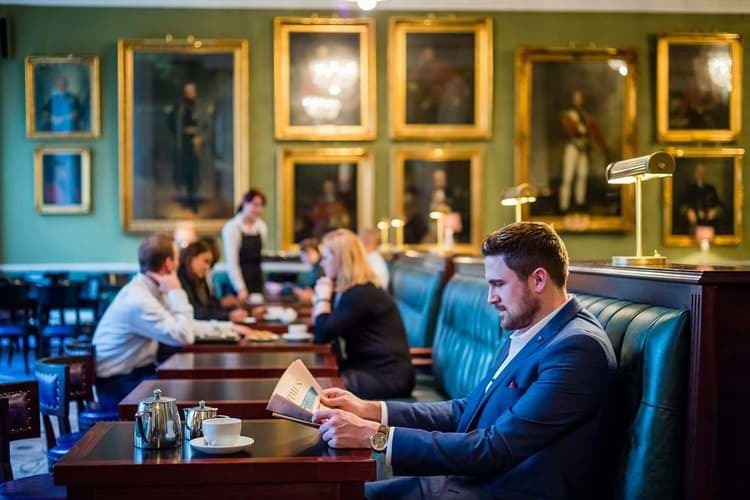 Named in honour of the architect John Nash, who designed 116 Pall Mall in the 1820s, The Nash is one of London’s most beautiful event rooms and our most popular choice for larger gatherings. Luxurious in style and steeped in grandeur, this 3,000 sq ft space comfortably welcomes 350 seated guests in conference style and 250 dining on round tables. It can also be arranged with sets and stages to suit any presentation or performance. Exhibitions, AGMs, conferences, gala dinners, press launches and wine tastings. A stunning double aspect room overlooking Pall Mall and Waterloo Place, this room adjoins The Nash. It can also be used as a standalone conference room with stage and sets, or as a breakout and networking room. It seats 120 guests in theatre style and 160 at a drinks reception. Seminars, AGMs, drinks receptions, formal dinners and client entertaining, either as a standalone space or in conjunction with the Nash room. 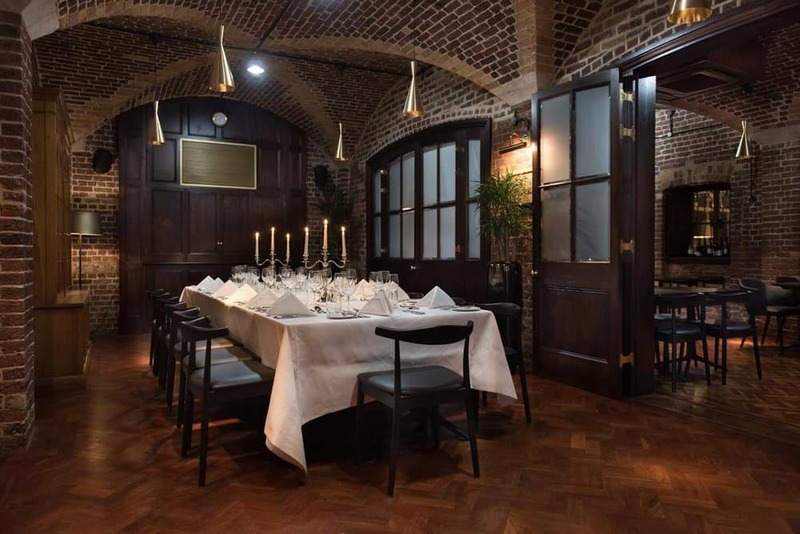 Majestic yet welcoming, this classic Georgian room is one of our most sought after for daytime events and combines perfectly with Trafalgar 1 & 2 as breakout or catering rooms. Conferences, AGMs and seminars, as well as exhibitions and networking functions. 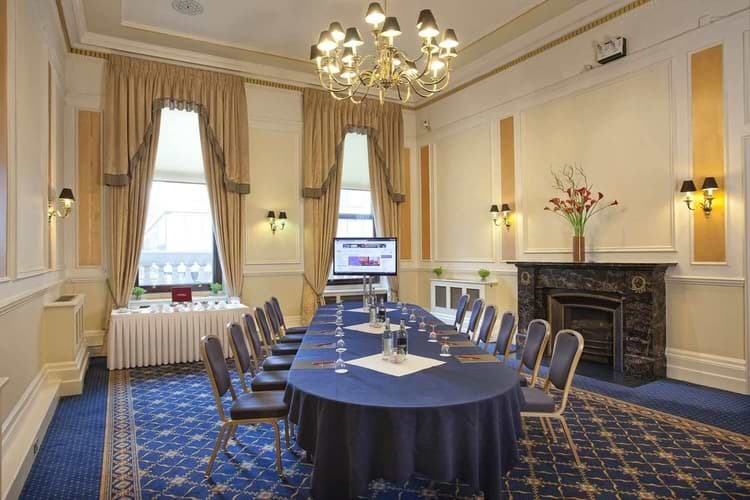 This pair of regal rooms, with grand sash windows overlooking Pall Mall, is ideal for intimate events. Easily opened up into one larger room or used separately, they give you the option of using one as a breakout or catering room, or expanding the space to suit your event. Breakfast meetings, seminars and, when used as one room, board meetings, intimate dinners and meetings with breakout sessions. The IoD Academy is 116 Pall Mall’s purpose built, state-of-the-art training facility. This new addition to our third floor includes two flexible training suites, coaching rooms, audio-visual equipment, a separate reception, breakout areas, private access via our stunning refurbished lift, alongside a refuelling station and barista bar. Training courses, seminars, webinars, filming, coaching and much, much more. This hidden gem is easily accessed from the Carlton Room and provides the ideal area for alfresco entertaining. Enveloped by trees and lush greenery, you wouldn’t believe you’re in central London, just a stone’s throw from The Mall and St James’s Park. This space as played host to various filming projects, and of course summer/outdoor entertaining. Summer parties, drinks receptions, film shoots, pop-up events, launches, parties, networking events. These spaces are only available for weekend hire. Once the Smoking Room of the United Service Club, The Carlton Room is a richly decorated space with dramatic Ionic columns finished in marble-esque scagliola. Available to hire most evenings, the walls are lavishly covered in gold leaf on linen, adding a real sense of glamour to the room. Exclusive dinners, dinner dances, drinks receptions, breakfast meetings, parties and celebrations. Spanning three stages of the building’s history, part of The Directors’ Room is Nash’s original structure, some was added by Burton in 1858 and the east side is part of an extension added in 1912. With palatial high ceilings and long Chesterfield-style banquettes, its layout offers flexibility, charm and a truly original setting for your event. Drinks receptions, dinners, dinner dances, exhibitions, product launches, parties and celebrations. Our magnificent staircase is one of the most iconic features of 116 Pall Mall. With spectacular sweeping lines, gilded banisters, statues and paintings, its pièce-de-résistance is a 15ft original chandelier was given by George IV in the early 19th century to commemorate the Battle of Waterloo. The Gallery can be used as a registration area for the Nash, Waterloo and St James rooms, and is often used to display table plans and guest lists. It also makes a wonderful viewing gallery for wedding guests, overlooking a ceremony on the grand staircase. Photo shoots, a backdrop to your reception, wedding ceremonies and product launches. 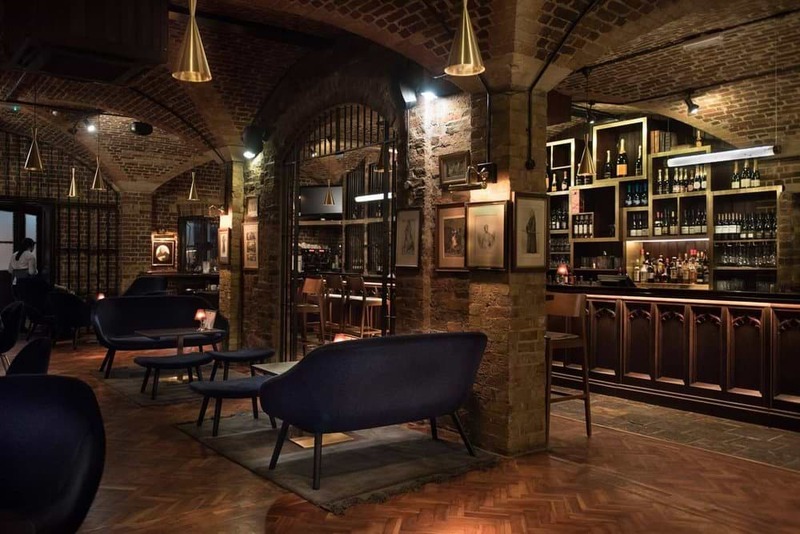 Once the wine cellars of the Prince of Wales and the United Service Club, guests enter the Wine Bar through a pair of stunning iron gates that served as the original cellar doors. With vaulted ceilings and exposed brickwork, the space is filled with character. Dinners, drinks receptions, wine tastings, film shoots, luxury hen parties and networking events. Café Duke was created from the original washrooms used by officers of the United Services Club. Unique, quirky and filled with original features, it has served as a filming location for blockbuster Batman movie The Dark Knight and the award-winning TV drama Downton Abbey. Networking events, drinks receptions, film shoots, luxury hen parties and client entertaining. The Restaurant has played host to a MasterChef semi-final, as well as a variety of brilliant business events and once-in-a-lifetime family celebrations. Welcoming groups of four to 80 in a dining arrangement, this bright, airy space overlooking Waterloo Place is an inviting spot to dine and watch the world go by. After-work entertaining, company gatherings, birthdays and anniversaries. 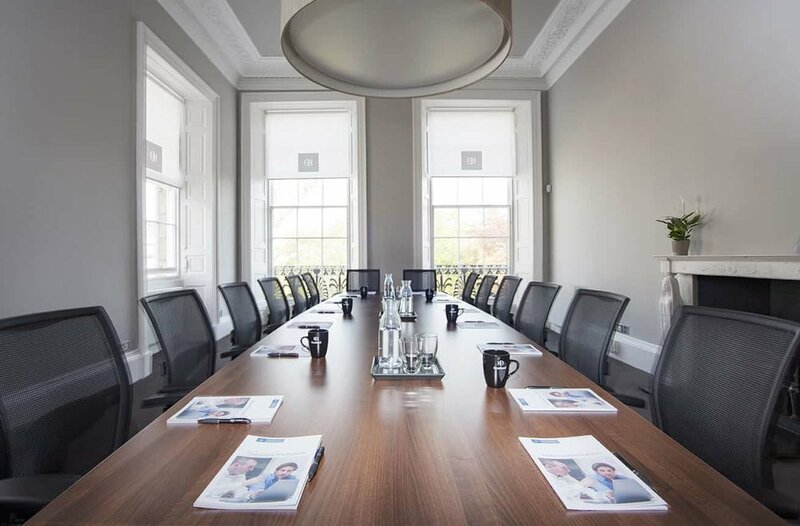 If you’re looking for meeting rooms or event space in Edinburgh, look no further than Charlotte Square. With iconic views of Edinburgh Castle, Charlotte Square Gardens to the front and the Firth of Forth to the rear, this stunning building offers four rooms with a range of layouts. With natural light and full AV facilities, Charlotte Square combines stunning Georgian features with contemporary styling. Meetings, training, interviews and coaching.